Regular visits to your dentist are absolutely essential if you want to keep your teeth and gums healthy and strong. 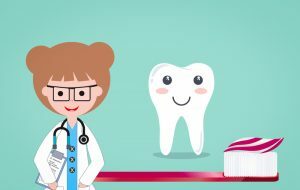 Dentists are able to spot, diagnose, and treat most oral health care problems, because they have the right training and tools at their disposal. One of those tools is the x-ray. Dental x-rays are one of the most effective ways to detect current and potential oral health problems, especially those that might not be visible to the naked eye. In other medical fields, x-rays are typically only used for more serious injuries or illnesses. Dental x-rays, however, are extremely common, and are often performed either yearly or on an as-needed basis. Even though dental x-rays are so common, we’re often asked if these x-rays are safe or necessary, and what to expect when getting an x-ray taken. Here are some answers to these and other common questions. For almost all patients, dental x-rays are completely safe. While x-rays of all kinds involve radiation, the radiation levels involved in dental x-rays are extremely low. In fact, we are all exposed to radiation from natural sources on a daily basis, and the radiation exposure you receive from dental x-rays is less than the typical amount you’re exposed to naturally. Digital x-rays are even less harmful than those developed on film. What precautions should be taken with dental x-rays? Very little needs to be done to prepare for a dental x-ray. Your dentist will likely cover your torso with a lead apron or vest, lessening your radiation exposure even further. If you are pregnant, or might be pregnant, let your dentist know. X-rays are typically avoided during pregnancy, but with the use of the lead apron, x-rays can still be done safely. When you visit a dentist for the first time, they will likely want to take x-rays to get a good picture of your overall oral health and the current condition of your teeth. After that, the frequency of your x-rays will largely depend on your dentist and on your teeth. Many dentists like to take x-rays about once a year. However, if you’re experiencing pain or other symptoms, an x-ray might be the best way to determine the cause, even if you’ve had an x-ray taken within the past year. Conversely, if you’re teeth are healthy and not giving you problems, you may be able to forgo the x-ray at your next dentist visit. Without x-rays, it is extremely difficult, or even impossible, for dentists to accurately diagnose certain conditions. What can I expect when I have x-rays taken? Your dentist or hygienist will walk you through the process. The type of x-ray you need will depend on a number of factors. Common types of x-rays include bitewing, in which you bite down on a special tab while the picture is being taken, and panoramic, in which the machine rotates around your head to get a complete picture of your teeth, jaws, and sinuses. No matter what type of x-ray you experience, rest assured that your dentist’s office will do everything they can to make the experience as comfortable as possible for you. If you have any more questions about dental x-rays, feel free to talk to your dentist. At Smile Concepts, we are committed to helping our patients feel confident in our staff and in every procedure we perform. We use dental x-rays to help give you the healthy, happy smile you’ve always dreamed of. Contact us today to learn more!